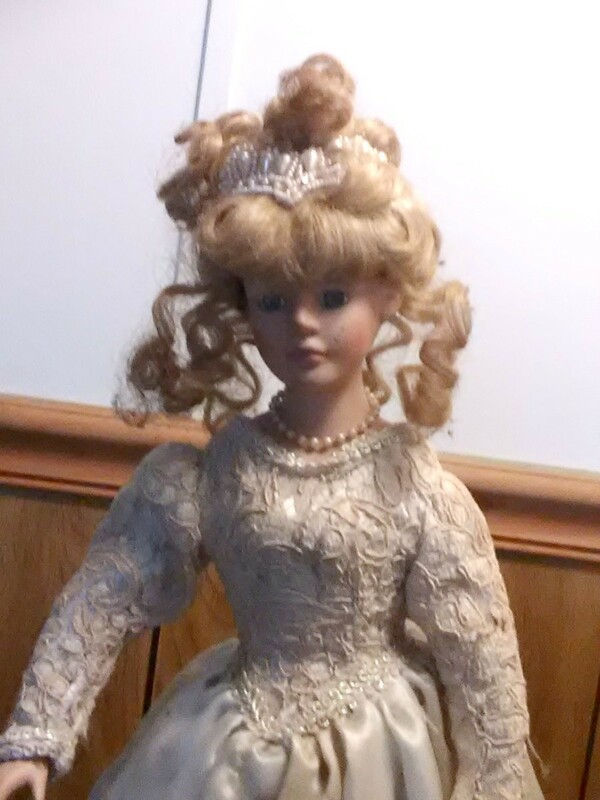 Many people collect porcelain dolls or have been left a collection. The value of these dolls ranges widely, with many of them not having a significant value and others being valuable collector's pieces. 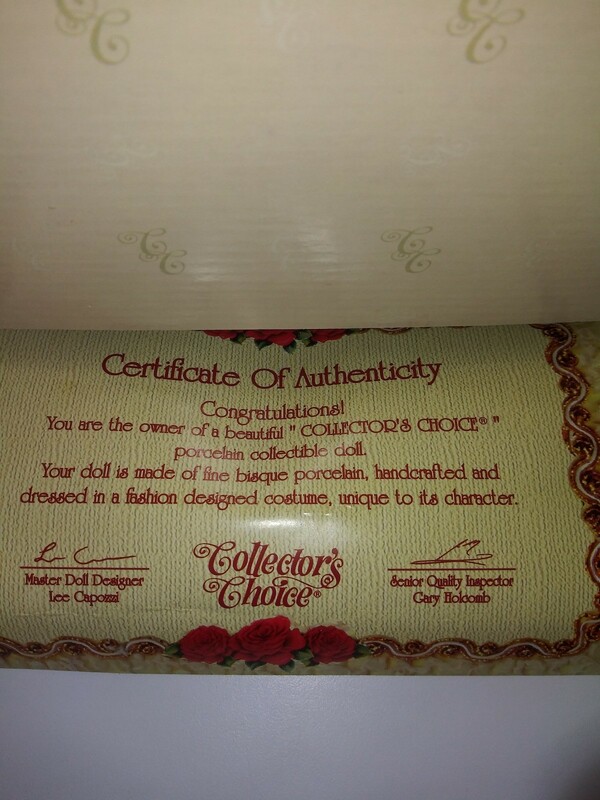 This is a guide about determining the value of Collector's Choice porcelain dolls. 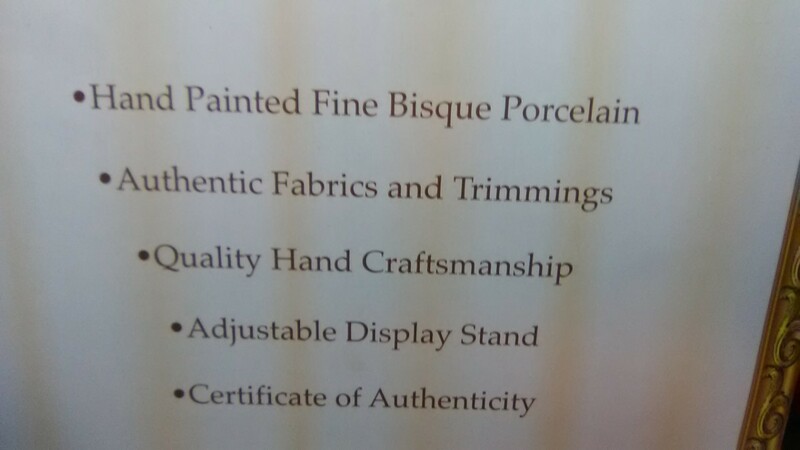 How much can I get for a genuine Collector's Choice fine bisque porcelain doll? This collection of dolls (and many, many similar dolls) are all mass produced and sold to low end stores (like K-Mart) all over the world but mostly in the US. This high production of each style doll lowers the value and makes this type doll difficult to sell. Some of these dolls may sell for $25 but most will sell for $5-$15 and may take a very long time to sell (or may never sell). You can check sites like eBay (the largest doll selling site in the world), Etsy and Google to search for your particular doll but there are over 1,000 Collector's Choice dolls listed at any given time so you may never actually locate this doll. Most of these dolls fall in the same category - not rare and very plentiful at very low prices. If you are wanting to sell your doll, you may have better luck to post her on your local Craigslist, OfferUp, IOffer or any other local site. People like to see dolls before they purchase. You would need much better photos as this one is dark and blurry. Sadly, as everyone has stated, these lovelies have not held their money value...meaning you won't retire from the proceeds. 1. Since so many people are literally dumping dolls these days to get back shelf and closet space, it may pay to hold on to her because eventually it may come around that people miss having these pretty dolls and want to recreate a nice memory. Values are based on supply and demand. In a few years the supply is going to be very low...and demand may be high. You never know. Stranger things have happened! 2. You can get karma value finding a little girl who will love her and maybe actually play with her as dolls were originally meant for. There are plenty of children who would still enjoy a doll. I see them in stories especially around Christmas time....so find a place in your area that would take it for such a drive and donate it. You get good karma and maybe even a tax donation and a child gets something special. Wishing you all the best! Thanks for sharing her! I have had this doll since I was a kid. I don't need it. I want to sell it, but I can't find any type on the market that looks like her. Does anybody know? These dolls range in value from $10 to $189 on eBay. Yours is in good condition. I would start at $150. You can always lower the price. 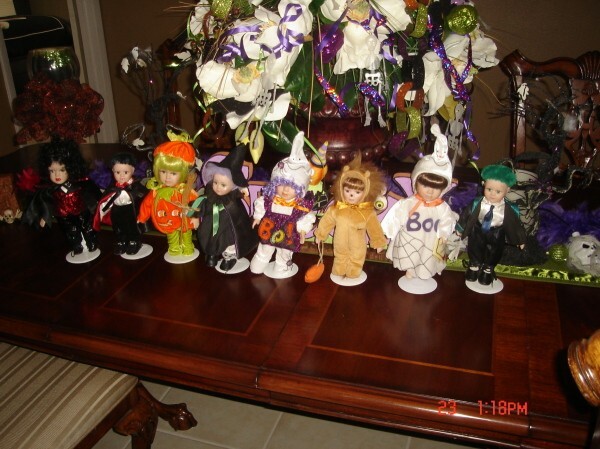 I have all 8 of the dolls in the Spooky Hollow collection. How much are they worth? You should check eBay and Google. Probably would have sold better a few weeks ago - before Halloween. I'll offer you $5.00-$10.00 a piece. They would be for my almost 6 yea r old daughter's collection! Her birthday is in May, and she would love these! Her dolls are her pride and joy! 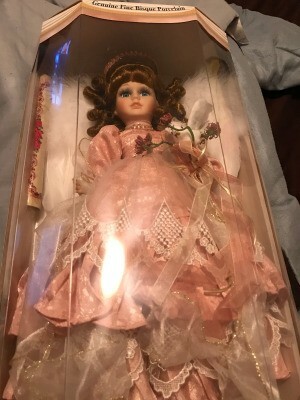 I will like to know the value of this doll? These are mass-produced dolls with a value of $25 or less. I have the same doll. I would never know how much she is. She is sweet but 9 out of 10 of the Collector Choice dolls have not held their value. Most of this brand are unsold on eBay for as low as 99 cents. If you want to know the exact value, I always recommend searching eBay every week or so and look for an exact match to her in the SOLD section. That will give you the actual current market value. I always tell people with dolls like this that have not held their value for money, that they have held their value in that a child who never had a doll, who was given this doll, could love it and enjoy it. This is the giving season, perhaps you know a child who would fall in love with her and actually play with and enjoy her! That would give her all the value in the world! Thanks for sharing her! 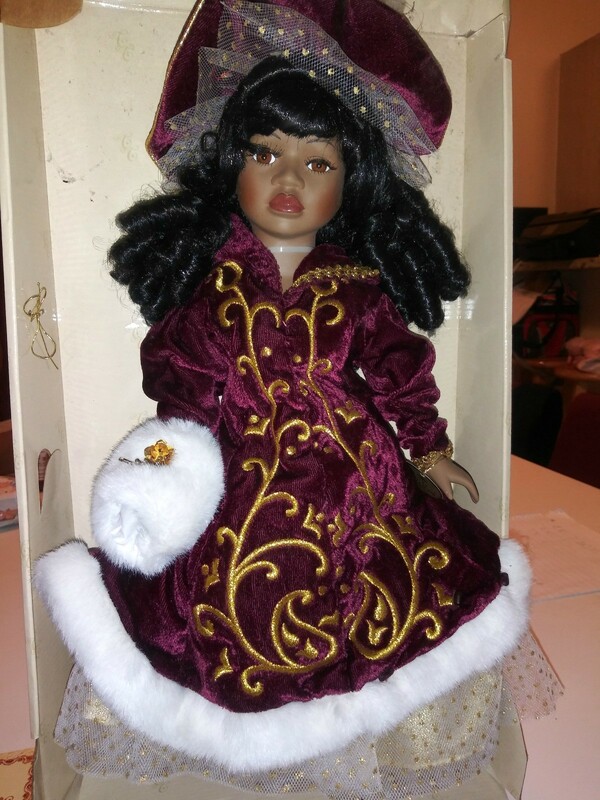 These are generally lovely dolls but the value is very low and difficult to sell - at any price. eBay is the world's largest doll selling site so if you are interested in finding this particular doll that is the site to check. There are over 1400 of this series of dolls presently listed on eBay - you may find a similar doll or one that you wish to "watch" to see if she sells. 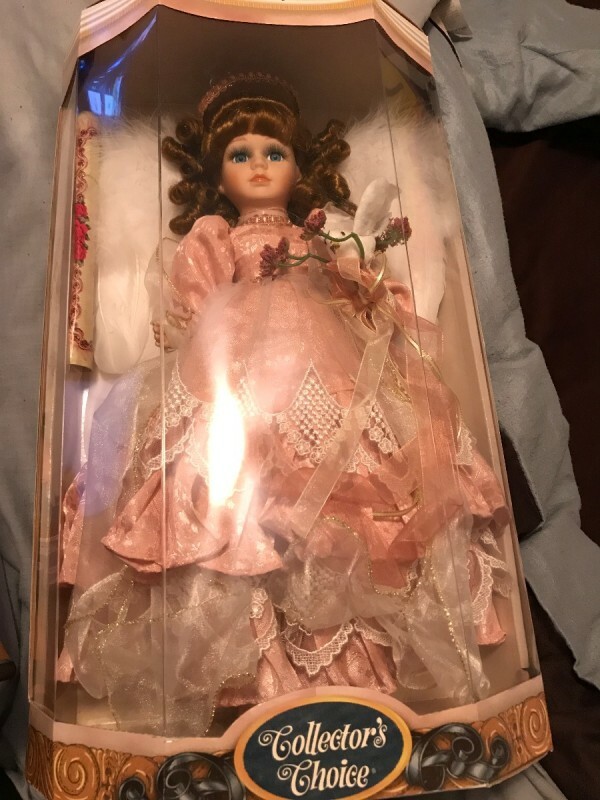 Here is a link to similar dolls recently sold on eBay so if you find your doll in this group it would tell you what the present market value could be. 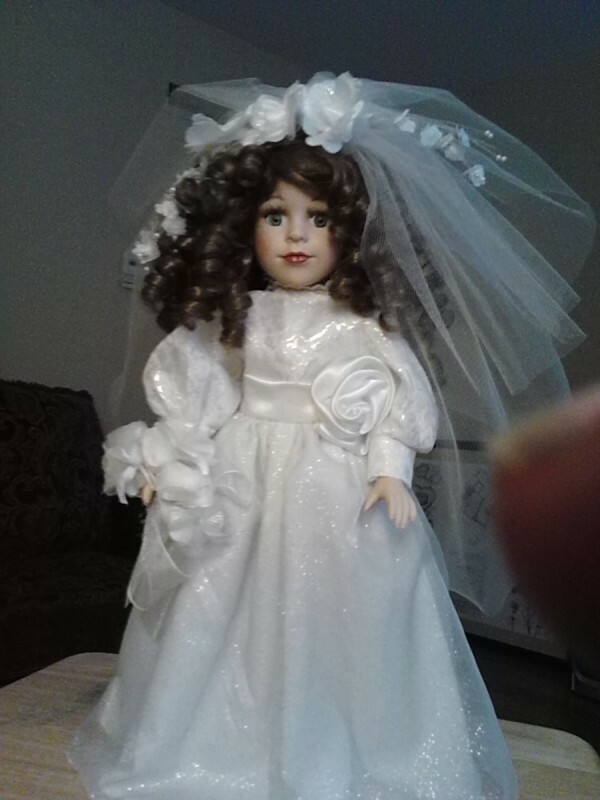 I have a bride doll in full wedding dress. 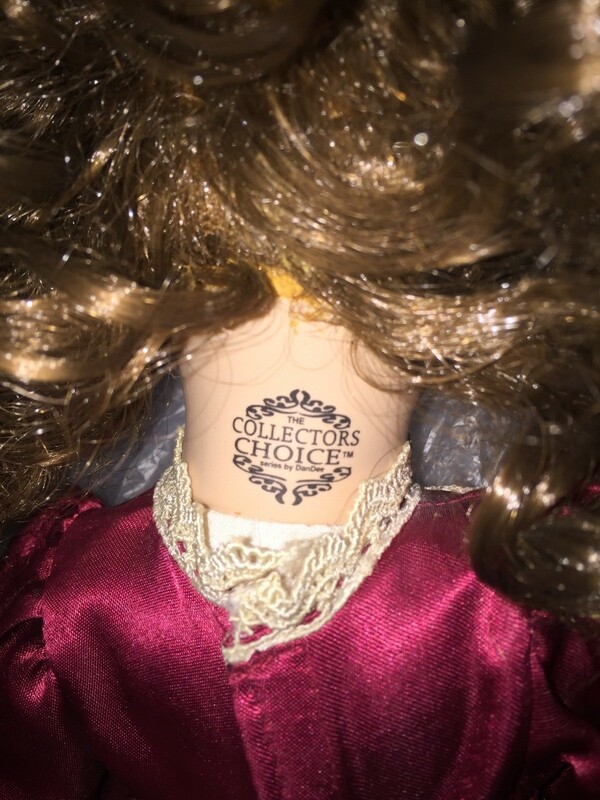 On the back of the neck it says, "The Collectors Choice". 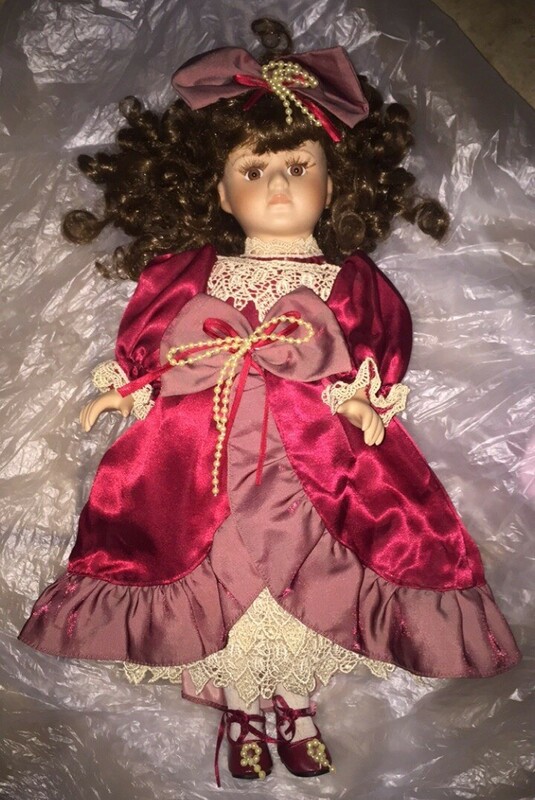 Is this doll worth anything and where would I find any other markings on the doll? 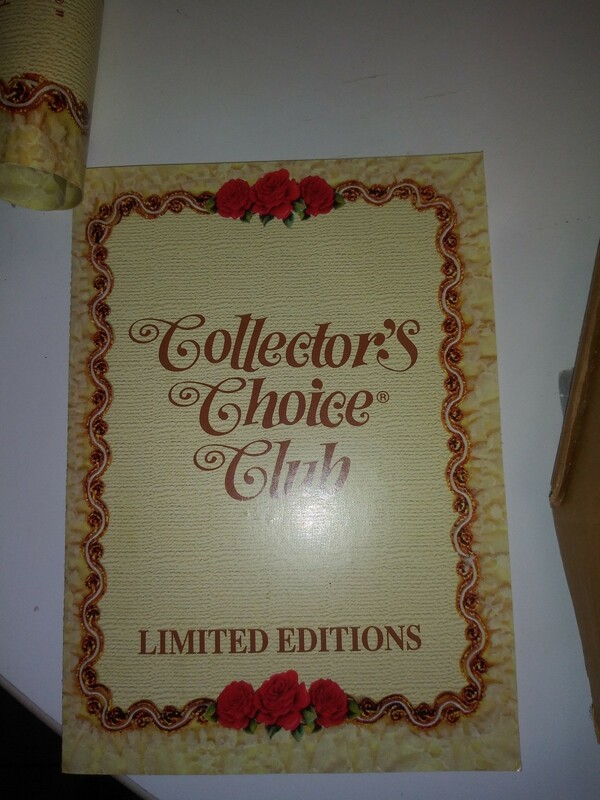 Collector's Choice dolls were mass-produced. They could be worth $25, but probably are worth less. 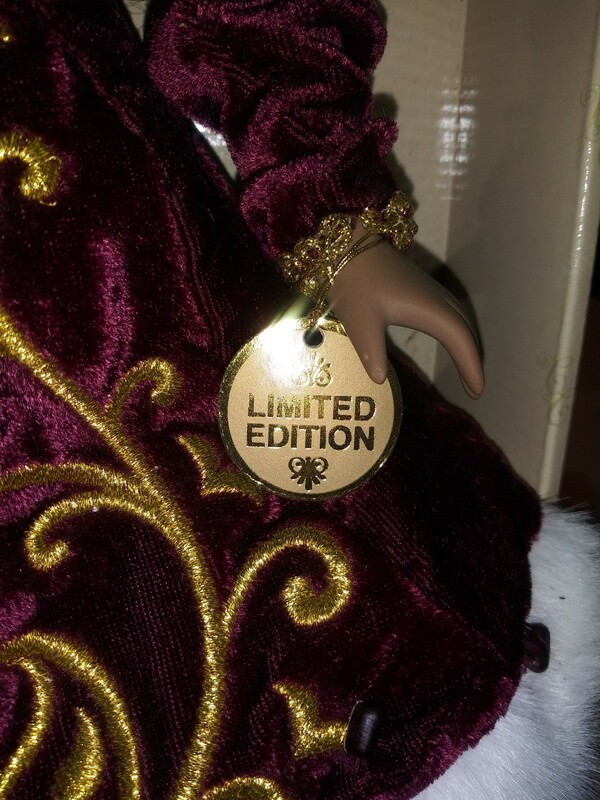 I would like to know the value of this Collector's Choice doll (limited edition). This is another mass-produced doll that decreases in value. They are usually in the $10-20 range. Is your sweet gal 16 inches tall? She (sadly) has been sitting on eBay unsold at the $32 dollar price where the seller pays shipping, so the profit would be in the low $20s IF it sold. Sold price gives you value, so at the moment she has no value (since none have sold). You may want to watch to see if the seller relists and watch it, then when it sells you will know how much it is valued in today's market. 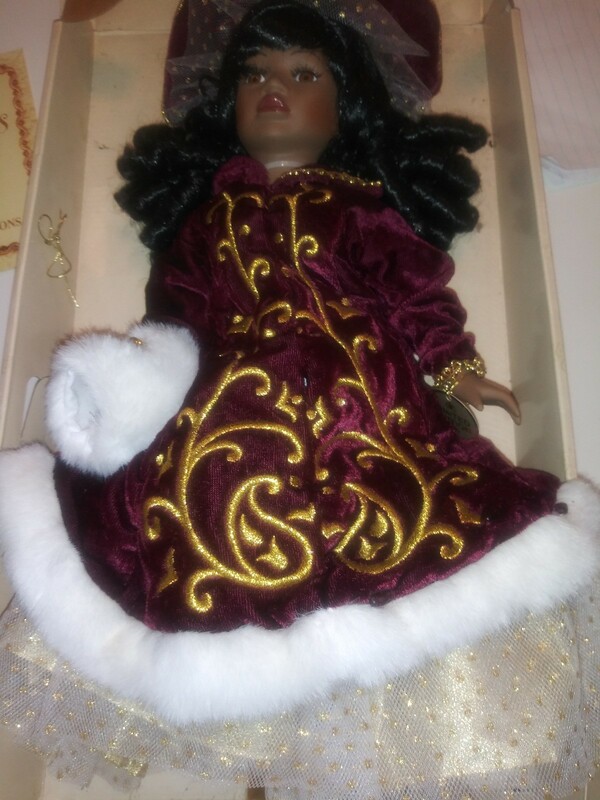 I am surprised by this one as the dolls of color typically did hold their value over the years. I am thinking this brand just made too many of this series and that drove down the resale price. I am so sorry I do not have better news for you. May I suggest that you find a child who will love her and give the doll to the child? This is the best value for dolls when they make a child happy!! 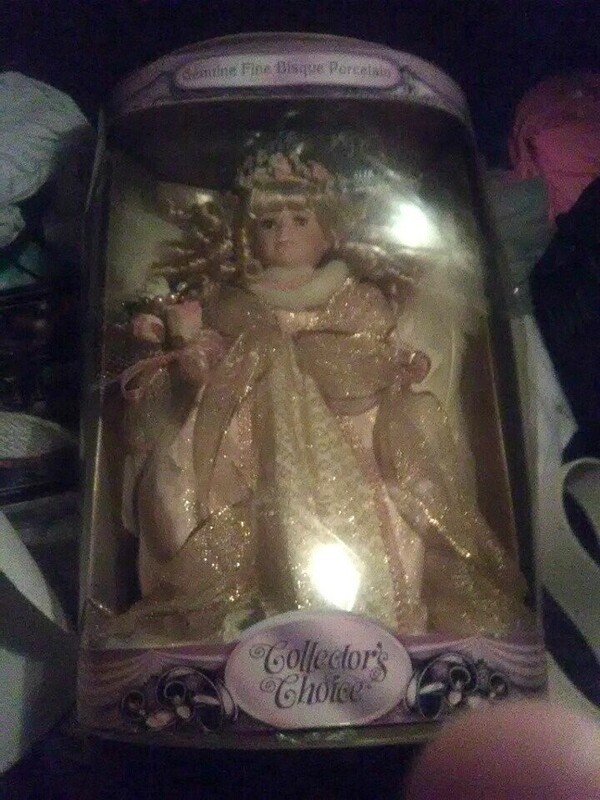 How much is a 1998 Collectors Choice by Dander bride, with brown hair, worth? These are mass-produced with a value of $25 or less.